"These fighters have no equal. They are professionals-the best of the best. How many is unknown, but hardly more than a few hundred. They are under the direct command of the armed forces of the United States. They are only in the hottest point and assign the job to successfully complete that not anyone else. They are the elite soldiers of the Tier 1 Operators. In Medal of Honor single-player campaign is developed in close collaboration with veterans and current members of the Tier 1 units. It is based on real events, about which told the participants. It is thanks to these people the authors of Medal of Honor were able to accurately recreate the atmosphere of modern warfare. As a Tier 1 Elite member of one of the divisions of the United States Army, the player will have to battle with the forces of the Taliban and Al-Qaida in the rugged Afghan soil. 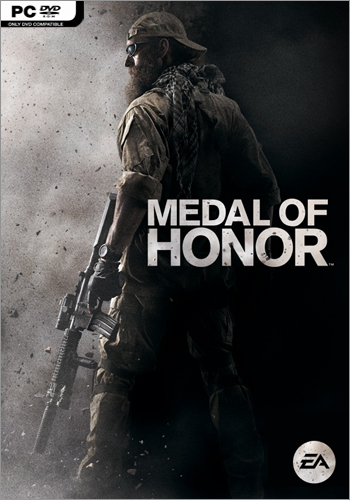 Medal of Honor multiplayer mode designed the world famous Studio DICE, created the famous series Battlefield. In these brutal battles, each player will have to fight for survival, relying only on their own strength.